To the best of our knowledge no original example of this machine still exists, but a project at the Wasserkuppe to build a New Reiher was completed in 2001. Information on this sailplane is constantly sought by modellers and others, and many members have asked for details. One reason for the interest In the Reiher is that it was one of the most beautiful wooden aircraft ever built. it was at all times a rare machine since not more than ten were made. With its proven max. L/D of 33: 1, it is no surprise that It came first at the 1938 and 1939 Rhxn contests. 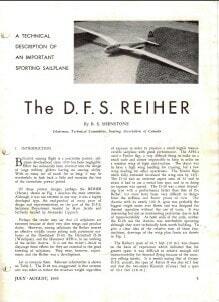 The wing of the Reiher was designed to give the machine the highest performance of any contest machine of the time. To this end, the aspect ratio and depth of profiles were taken to the absolute limits of what was possible for a wooden construction. The wing root chord was 140cm, but a considerable proportion of this , at least 25%, was a camber changing flap. which actually increased its aspect ratio from a constructional point of view. The result was a knife-like wing with a very shallow depth of profile at the root which had to be made heavier for extra strength because it was gulled. This caused the wing tip to flex upwards 181cm, rather too much for safety. Every effort was made to give the wing rigidity. Plywood covering of varying thickness from the wing root outwards was taken back to the rear spar. Wing ribs, close together, supported it to make the wing skin contribute more than usual to the wing’s rigidity. Extensive plywood covering and metal spars bonded to wood were used again in the 1950’s for the first gliders with laminar flow wing sections. 1) The plywood covering was 1mm thick behind the main spar, whereas it varied from 2mm to 1mm in front of the main spar. 2) The plywood, owing to its curvature and diagonal grain was much stiffer round the leading edge than behind the spar. On the prototype Reiher, ash laminations were inserted into the main spar to increase the rigidity. On the later Reihers this was omitted as a spar made entirely of spruce was found to be sufficiently rigid. The Reiher’s design was considerably altered during 1938 so that the Reiher V2 seemed an almost different machine from the first prototype. Its wings had no flaps, slightly increased root chord and depth of root profile. In the appended drawing, the area indicated by line inboard of the ailerons represents the only portion of the wing not covered in plywood, and is not a flap. By effectively increasing the wing root chord, the wing tip flexing was reduced by a remarkable 50% to 91cm. Tests showed that the Reiher l’s flaps were of little value. The airbrakes of the Reiher 2 were of shorter span above than below the wing in order to get the upper airbrakes away from the sensitive area of the gull’s kink in the wing. 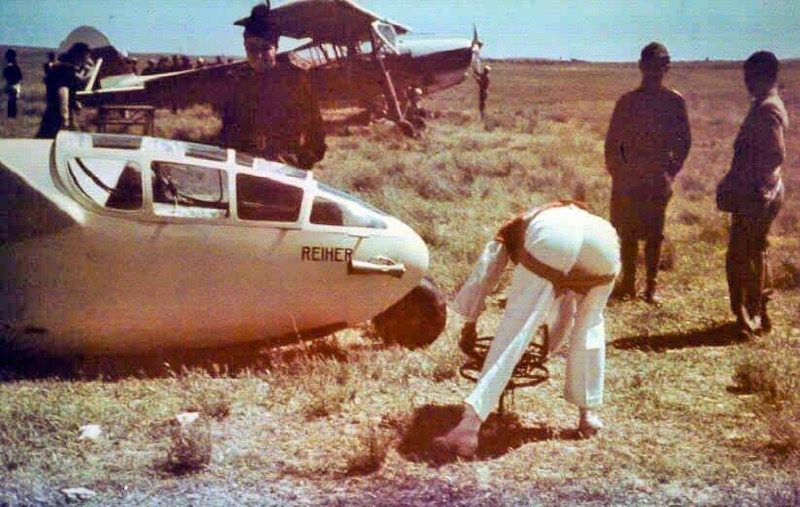 >Wolfgang Spaete had hoped to fly the Reiher V2, or the Reiher 3 that sprang from it at the 19th Rhxn contest in 1938 but this was not to be. He found himself having to fly the Reiher V1 which had an incredible 90kg added to the wing spars in order to increase rigidity. The machine’s minimum speed now lay between 75 and 80kph. During the first two days of the contest lift conditions were very poor and narrow. As the Reiher could not climb in anything less than 2m/s, Spaete hardly scored a point in these first days. But the weather gradually improved during this particularly famous contest so that conditions began to favour the heavy Reiher V1. Also, Spaete had been studying under Professor Scheubel at the Darmstadt Technical College the optimum speeds to fly under given lift conditions. He used the first “best speed to fly ” calculator during the contest. He kept the device in his pocket until the bungee launch, and then stuck it to the instrument panel. As the weather became unstable, or deteriorated, he used it to try out his theory. His table indicated that if the Reiher achieved 56m/s average rate of climb, the best speed to fly on course was 150kph, a fantastic speed for the time and hitherto only attained when a pilot was about to enter a loop. Two other pilots at the contest, Brxutigam and Kraft asked him if he was mad, throwing away height like this! however, Spaete did not give his secret away and went on to win the contest. It is only fair to add that the machine that offered the stiffest competition was the slow Mü 13, flown by its champion, Kurt Schmidt. 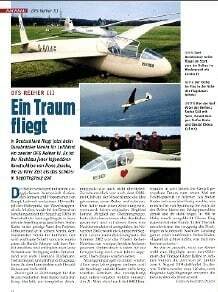 The Reiher’s best flight during the contest carried it 460km to the vicinity of Stettin, on the Baltic coast. Kurt Schmidt flew 410km to the Oder on the same day and 18 pilots landed on the two Berlin airfields of Tempelhof and Rangsdorf, more than 300km from the Wasserkuppe. Spaete’s runner-up was Brxutigam, who landed one of the first Weihes near Warnemünde on the Baltic, 429km away from the Wasserkuppe. On another, not so good day, Spaete arrived over Rotterdam airport in poor visibility, 420km from the Wasserkuppe. His runnerup was Ludwig Hoffmann, who landed a Weihe in a field near Rotterdam, 410km from the Kuppe. It was on that day that Kurt Schmidt, not doing well with his Mü 13, lost the contest to the Reiher. 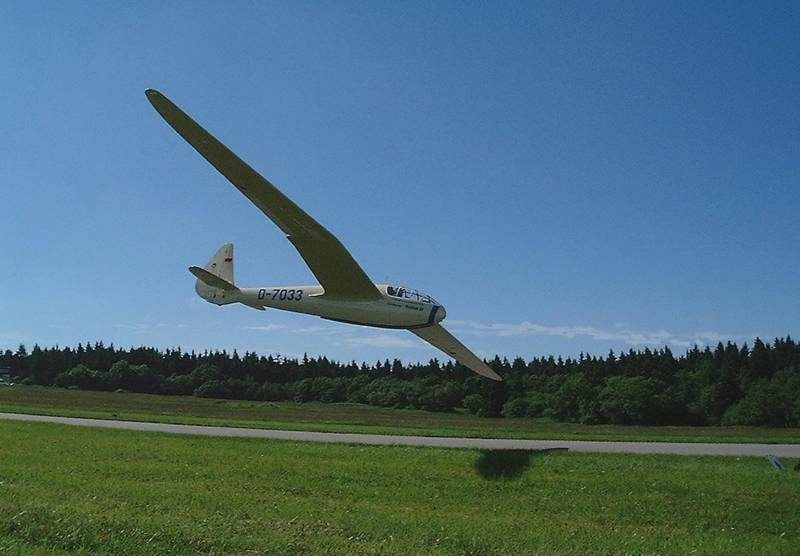 On another day, Spaete flew his machine on the longest goal flight of the contest, a 310km trip to Freiburg in Breisgau. The Reiher proved excellent at cloud flying, and Spaete eventually climbed to over 7800m in cloud. Because of its successes the previous year, a small production run of Reihers was started in 1939. 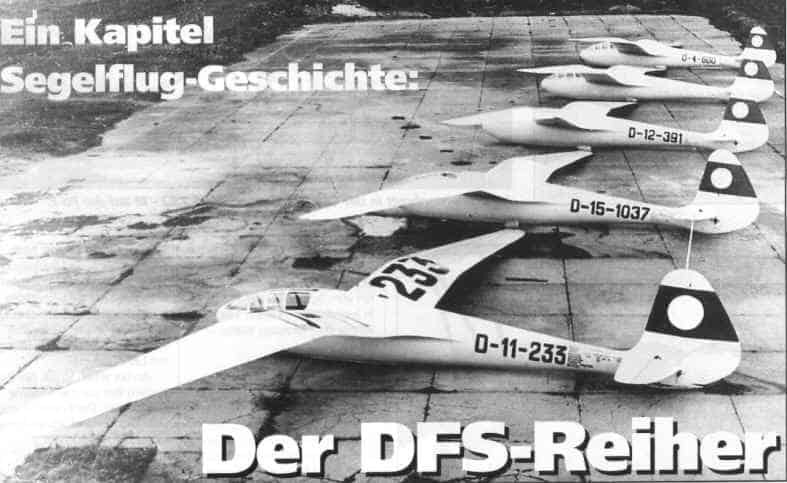 We have virtually no information on the differences between this production model, the Reiher 3 and the V2. Six Reihers were entered in the 1939 Rhxn contest, whereas only two had taken part in the 1938 contest. However, the final results of the 1939 contest show that only five Reihers took part. There is a discrepancy over the Reiher flown by Fick into 16th place. He had been entered to fly Reiher D-7-261 of the National Socialist Flying Corps ( NSFK ) Group 7, but the final results show him as having represented the NSFK Group 2 in a Reiher which is not described as a V2, but which could possibly have been the V1 ( D-11 95 ). At any rate we have definite evidence of the existence of eight Reihers. During the hard-fought 1939 Rhön contest, Reihers achieved 1st, 9th, 12th, 16th and 19th places. The winning Reiher was flown by Erwin Kraft, who was killed in 1944 as a fighter pilot over East Prussia. The Reiher D-3-407 that came 12th was flown by Heinz Huth, who, despite being very tall, later became world champion In the standard class twice, flying Ka-6’s. Spaete finished 9th on this occasion, in a Reiher V2. Werner Fick flew 362km from the Wasserkuppe to Görlitz, the longest goal flight of the 20th Rhön contest, which also gave him the opportunity to reach 5790m, the greatest height achieved during the contest. 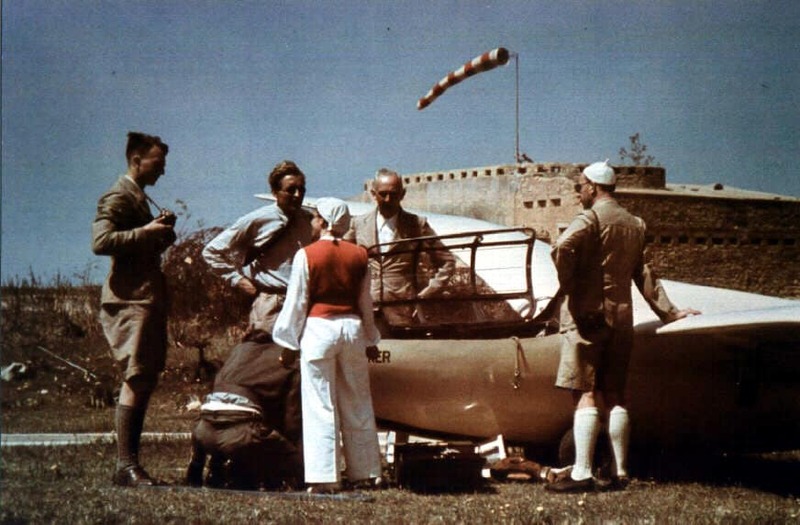 Flying a Reiher, Hanna Reitsch set up that year a 280km out-and-return record for women which was not improved until 1969. She also broke the German goal flight for women by flying 200km from Hamburg to Stettin. NSFK Group 3 (North West) in Hamburg, NSFK Group 4 (Brandenburg) in Berlin, NSFK Group 7 (Elbe- Saale) in Dresden, NSFK Group 11 ( Hessen- Moselland) in Frankfurt and NSFK Group 15 (Wxrttemberg) in Stuttgart may well have been the location of Reihers in 1945 when the Allied troops arrived. Group 3 would have been occupied by the British, groups 4 and 7 by the Russians, and groups 11 and 15 by the Americans or the French. We have evidence that two Reihers fell into British hands. One of these was on an airfield occupied by a Typhoon squadron whose pilots adopted the Reiher as a mascot In the hope of getting round to flying it one day. It was with great difficulty that they were persuaded to relinquish it for dispatch to England. After its arrival, it was found to have glue failure through having been left out of doors while in British hands, either in Germany or after its arrival in Britain. It was not saved. As for the second Reiher, we have evidence from F1t. Lt. Denis 0sland, CFI during the early 1950’s of the RAF rest centre at Scharfoldendorf. 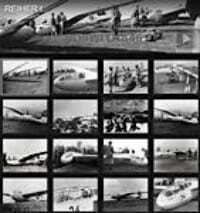 He was responsible for 43 airworthy sailplanes. A Reiher was found at this former Reichsfliegerachule, and F1t. 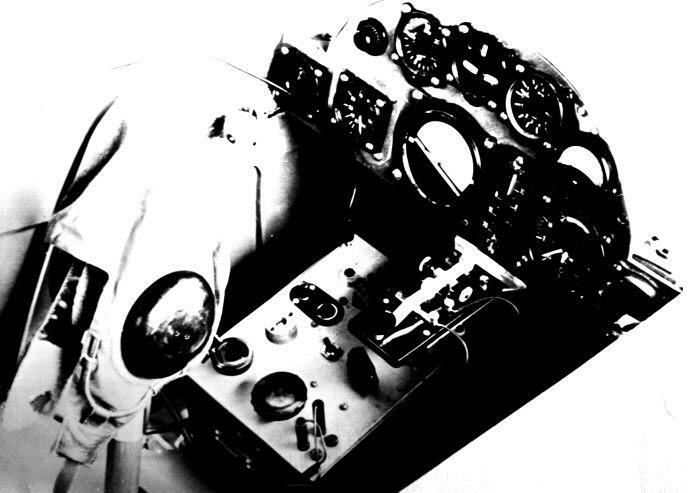 Lt. Osland thinks that It may have been crashed and then destroyed after he left Scharfoldendorf in 1954. Ary Ceelen believes that at least one Reiher was taken to France, but we have no evidence that any were ever flown there. Even by today’s standards, the Reiher had a very modern fuselage nose contour. It had a faired-in landing skid. Dr. Slater recalled that when Slingsby saw the prototype he was so impressed that he incorporated Its form Into the designs of the Gull and Petrel. The ailerons of the production model were operated by pushrod. 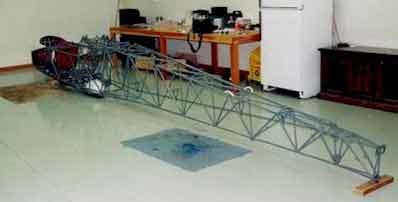 Cables had been used for the prototype. It had no external control surface operating horns. When the prototype’s flap was moved down 15 degrees the ailerons were also trimmed down by 8 degrees . The Reiher’s rigging and derigging was ultra-quick, as for the Weihe. The two wing-fuselage pins were inserted by moving one lever on each side. A single main pin was inserted vertically, from above through a hole in the top of the fuselage. All controls coupled automatically during rigging. All this adds up to a great sailplane. 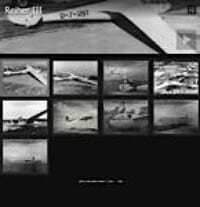 Tests carried out in 1941 at Trebbin, the Reichsfliegerschule north of Berlin, showed that its performance was only exceeded by that of the Horten 4a and the Darmstadt D-30 “Cirrus”. 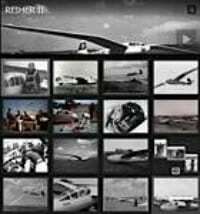 In 1998 a project was started in Germany to build two brand new Reihers. The first of these Reihers, to be known as a Reiher III was registered D-7033 and flew in 2001. It is now a display item at the famous Wasserkuppe museum. A selection of build photos, originally posted on the web, can be found below.